As we know, knit ties are simply fantastic for a more casual occasion, adding a touch of playfulness that cannot be matched with any other kind of tie. They come in a variety of widths, materials and patterns. However, there is nothing quite like the two tone knit ties, type often totally forgotten and found from only a handful of manufacturers' selections. 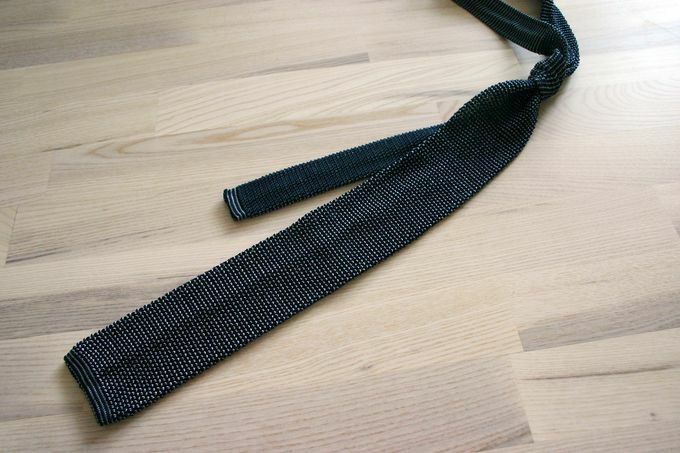 The bi-color knit tie is basically a plain knit tie, knit using threads of two colors. 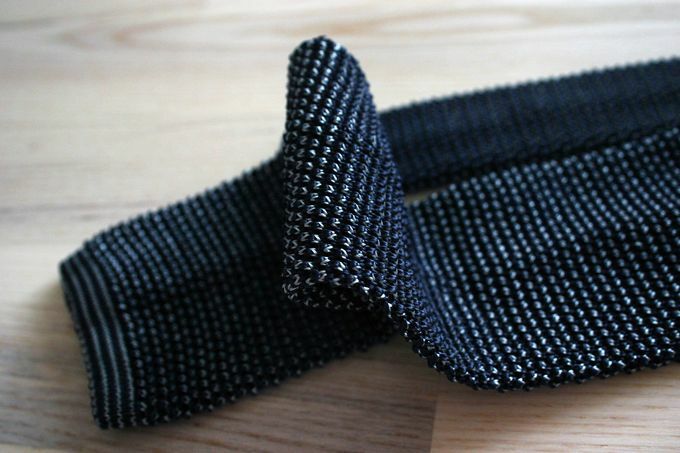 This creates a knit tie that changes color depending on the angle. Very hard to photograph, but when seen in real life the color is vivid and more interesting than a normal knit tie. You can get a hint on how this works by looking at the second picture where I've folded the tie to present the effect more clearly. I prefer the colors to be quite similar (like my own navy-blue), but sometimes very different ones can work well together just as well. Additionally, when picking the other accessories to go with a two tone knit tie, stay with easy colors and don't use too many patterns. The lively shine created by the two colors, no matter how toned down, will already draw the eye to itself more than a normal tie. Paired with a colorful paisley pocket square or something similar, it will most likely get a bit messy. So, where to get yours? If you live in the US Kent Wang will offer you great bang for the buck at only 75 USD, and most of the same ties seem to be at KJ Beckett for about 40 EUR here in Europe. Drake's seems to only stock two colors at the moment, but that might be due to changing of the seasonal collections right now.